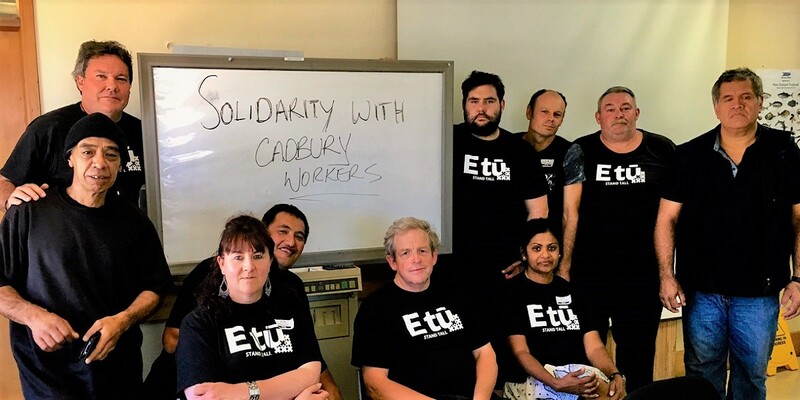 Four hundred workers in Dunedin, New Zealand have been fighting to save their Cadbury plant since parent company Mondelez announced on February 15 that it plans to close the facility. Cadbury Dunedin is the city’s largest private sector employer, and indirectly supports a far larger number of jobs. The former Kraft Foods Inc. bought UK-based Cadbury in 2010 in a takeover that was financed with massive debt. When Mondelez was spun out of Kraft in 2012, that debt remained on the new company’s books. Mondelez workers around the world have been paying for the takeover with sell-offs, closures, outsourcing and downsizing to fund outsize returns to top shareholders and corporate executives. Last year alone, Mondelez eliminated 9,000 jobs. The Dunedin factory with its well-known brands produces healthy sales. But for years, Mondelez has vacuumed equity out of the plant by extracting ‘dividends’ which exceed the company’s net income. Now they want to shut it. CLICK HERE TO SEND A MESSAGE to the company, calling on it to reverse its decision to close the Dunedin factory.